Sign up now and you will receive a $10 credit towards your next registration (Training, In-House Season, Travel Season)! Credit will be applied after your registration with Ambit is complete and verified by New Fairfield Baseball. 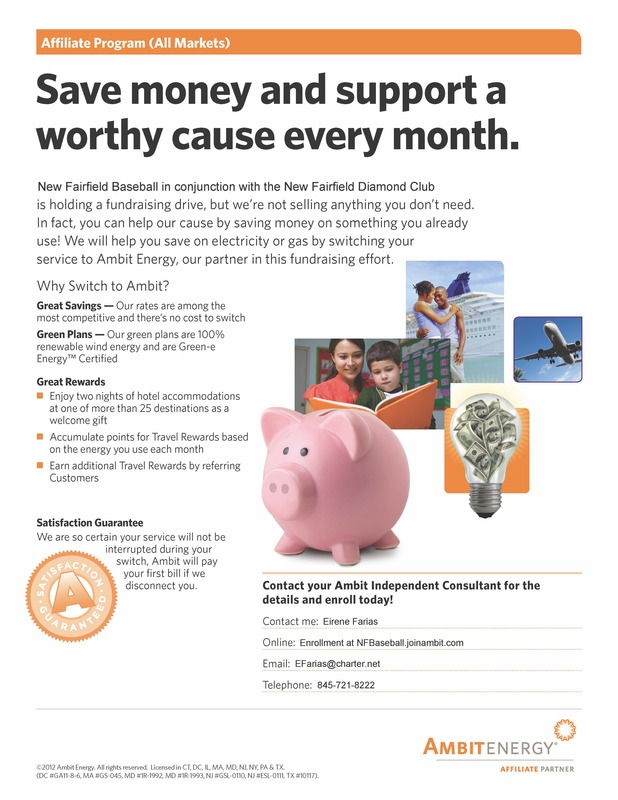 New Fairfield Baseball in conjunction with the New Fairfield Diamond Club is holding a fundraising drive, but we’re not selling anything you don’t need. In fact, you can help our cause by saving money on something you already use! We will help you save on electricity or gas by switching your service to Ambit Energy, our partner in this fundraising effort.